Tickets for $500 Hip-Hop Showcase in Fayetteville from National Acts Inc.
Saturday, March 9th $500 Hip-Hop Showcase featuring The Dirtball from The Kottonmouth Kings! Will be judged by The Dirtball! Sunday, March 10th. 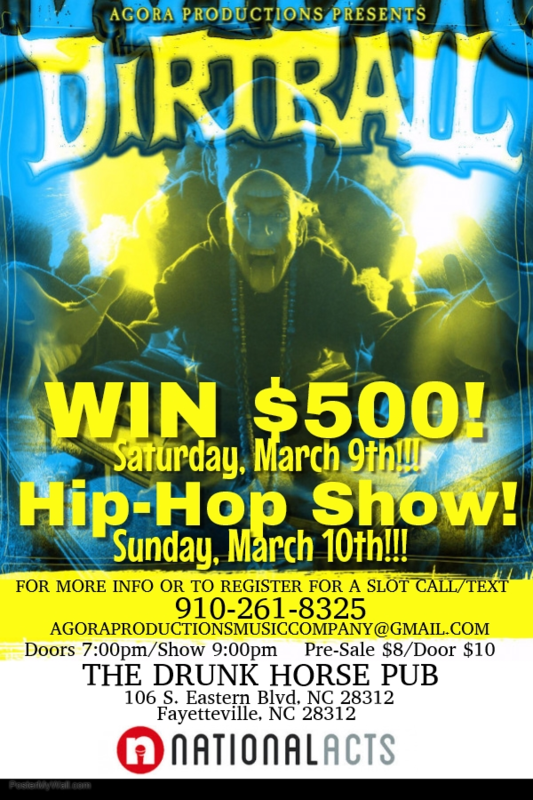 Hip-Hop Show featuring The Dirtball from The Kottonmouth Kings!